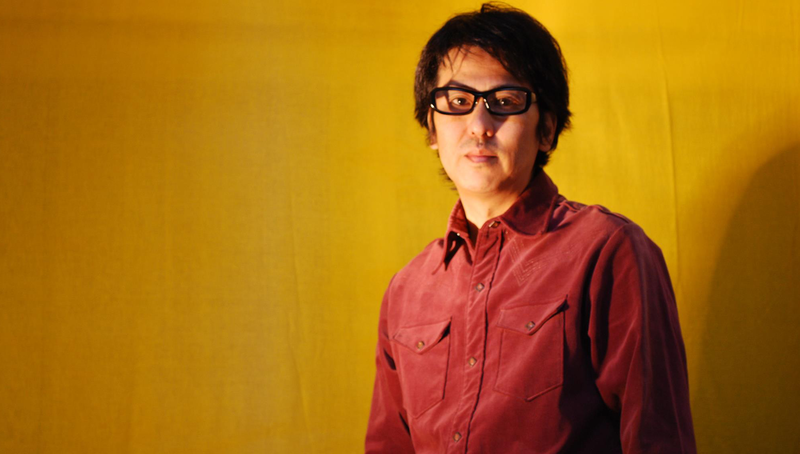 Susumu Yokota was an electronic composer from Japan. In the UK he is best known for his ‘ambient’ albums such as ‘Sakura’ and ‘Grinning Cat’ although ‘ambient’ is an often incredibly inappropriate tag for his wide ranging musical explorations. Prior to those albums he was better know for his work as a house music producer. Today, his discography includes over 30 albums. This review of his ‘Kaleidoscope’ album by Chris Parkin in 2010 gives a good idea of his influence and output. Yokota has released techno, breakbeat, even funky commercial house down the years and it’s this broad-ranging, never-say-never attitude that the spoddy electronicist summons here for an album that’s perfectly impossible to categorise. Eschewing the quasi-classical trance and strict minimalism that’s been cited as a major influence by the terrific Oneohtrix Point Never, Emeralds and others in that fine field of modern ambient, Yokota knits together an album that’s altogether more fun, demented, freewheeling, colourful, narcotic and oddly human. It’s certainly not background music. As if to dispel any fears that it might be, Kaleidoscope’s three opening tracks provide a vivid introduction to this gently-applied but rampant eclecticism. Your Twinkling Eyes, with its overlapping, looping acoustic guitars and prismatic chimes, suggests a sort of Far Eastern Caribou; the unsettling avant-clang and ghostly choral sounds of Her Feminineness awakens a sense that it’s not all sunshine and fluffy white clouds here; and 9 Petals is a child-friendly romp built on what sounds like the rhythmic, chugging loop of a fairground ride and features the same alchemy of electronics, sax-parping and chanting that Moondog nailed and which Jonny Trunk won over fans of freaky music with on his fabulous Sister Woo track. The chosen character worming its way through Yokota’s latest album – irrational, prone to mood swings and suffering (or benefitting) from synaesthesia – requires all his entrancing sounds, whether they’re odd, beguilingly beautiful or nerve-fraying. And this seamless patchwork of sunny psych-pop, leftfield clatter, shadowy two-step, harmony-based euphoria, Steve Reich minimalism and kaleidoscopic melodies is so much more emotionally walloping and relevant than all the perennially downbeat, whoosh-and-sigh whale music that gives ambient a bad name. ‘Sakura’, ‘Grinning Cat’ and ‘Wonder Waltz’. On ‘Wonder Waltz’ he collaborated with Czech avant-garde violinist and singer Iva Bittova. I remember meeting Yokota at Dingwalls venue in Camden, something of a crusty old rock venue and although in no way appropriate for Yokota’s music, he still managed to create a truly mesmeric web of sound. We chatted after the gig but his English was as poor as my Japanese so we resorted to lots of smiling and nodding, which is always good.